What does being mindful mean? Mindfulness means your mind is fully conscious of what’s happening; of your actions and the space you’re moving through. We are very easily distracted, and nowhere is this more pronounced than when it comes to the majority of the population’s eating habits. When we eat, rarely are we self-aware and fully present in the moment, aware of what and how much we are consuming. A lot has been written about obesity. We’ve been witnessing a global weight loss craze for almost two decades now. Sadly, very little is said and written about healthy weight loss. Many people are desperate to lose weight and resort to crash diets, “flexible” diets, surgery and other highly unwarranted and even dangerous approaches such as laxatives. What’s more, strict diets are not a thing of the recent past. Back in communist Russia, books were published with titles like, “Stop Eating and Save Your Life” and “100 Ways to Enjoy Water”. I’m not joking! More and more research evidence is now showing that mindful eating is a healthy and proven way to maintain a healthy weight and body mass index (BMI). 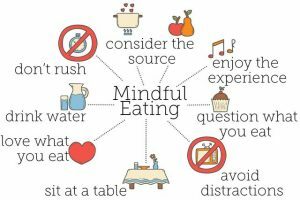 Mindful eating can help treat anorexia, bulimia, compulsive eating disorder, protorexia and a host of other eating disorders. Over the past two decades, studies have found that mindful eating can help you stop binging, overeat less frequently, lose weight and reduce your body mass index (BMI) and dissuade anxious thoughts about food and your body. It has even been shown to improve the symptoms of Type 2 diabetes! It would seem logical why mindful eating can help chronic overeaters. It makes you eat more slowly and more aware of portion sizes and does away with adverse, automatic food habits like overeating while watching TV. Regardless of whether you are overeating or on a too-strict diet, you don’t have an accurate perception of hunger and fullness. Mindful eating makes it easier to read your body’s signals so you know when to stop and start eating. This can be a tough job if your sense of hunger and fullness has been warped by comfort eating, large restaurant portions, or fad diets. Mindful eating changes the way you think. Rather than giving in to food-related thoughts that urge you to overeat, eating emotionally or overly restricting your diet, you simply respond to them. You can realize you have these thoughts without falling victim to them. Mindful eating can help you manage your emotions better. Sometimes people starve or stuff themselves (or alternate doing both) as a way to cope with negative feelings. Healthier ways of coping, such as mindfulness exercises, will help you stop managing your emotions through your food choices. Read my article “About Mindfulness” for more information. Mindful eating is not realistic for many of us, especially those with children or stressful jobs. It’s bound to be even more difficult around special events like Christmas, New Years Eve, birthdays and, when we get together with friends or family and eat and drink more than usual. Here are some simple guidelines to keep in mind to tell the difference between mindless and mindful eating, and read our body’s cues better. Are you really eating only when you’re hungry? You shouldn’t be eating for any other reason. Notwithstanding this fact, it is true that many of us eat in response to an emotional need. We often listen to our minds first, but in this case this is a mistake. Instead of just eating when we get emotional signals, which may include stress, boredom, sadness, loneliness or frustration, we should listen to our bodies. In other words, eat only when you are experiencing physical hunger. When we were kids, our mothers or grandmothers told us to eat slowly and chew our food. Some even say you should chew each bite 30 times. What’s the point of this? When we eat fast, we eat past full, overeating chronically because our brain hasn’t yet registered all the food we have eaten so we have not received the satiated signals. You need to let your body catch up to your brain. Eating slowly is one of the best ways we can get our brain and body to communicate on what nutrients we really need. We often overeat unconsciously because satiety signals take 20 minutes to reach the brain. How do you learn to eat more slowly when you’re not a child anymore? Isn’t it hard changing a lifelong habit? Maybe, but there are things you can do to start making this change. Apart from chewing each bite 20 or 30 times, I recommend sitting down to eat and setting your fork down between bites. Touch – what does the food or drink feel like in your hands, and in your mouth on your tongue. Pay attention to the different textures. Is it smooth, rough, hard, soft? If you’re coming a hot drink, you may even notice the steam hitting your face. Taste – really pay attention to all the flavours of what you are consuming. See if you can differentiate between all the flavours. Smell – what does your food or drink smell like? See if you can work out all the different smells within what you are consuming. See – pay attention to what you’re consuming looks like with all its texture, colour, light. Hear – What can you hear with what you’re consuming as you chew this? 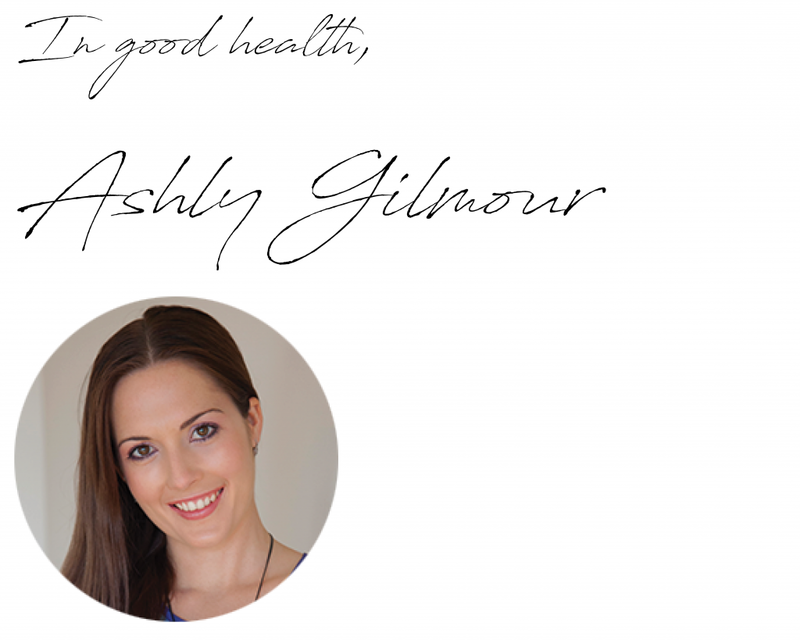 It’s tempting to choose foods that are emotionally comforting over nutritious ones, and when we tend to choose these comfort foods like cakes, biscuits, choclates, ice-cream etc, we tend to eat without being mindful of what and how much we’re eating. If you think that eating unhealthy is boring, there are actually foods that are both healthy and tasty, like fruits, vegetables, most fish, nuts & seeds, and salads with olive oil, garlic. These foods can taste delicious when you jazz them up with various flavours like herbs and spices and different methods of cooking. There are plenty of healthy and delicious dishes you can make at home. You just need to make time. Change your mindset from viewing unhealthy foods as boring and unpleasant to enjoyable, pleasant foods instead. As you practice eating healthier foods, you will be less inclined to binge on comfort food and will thus eat more mindfully. Another way that we eat mindlessly is by eating at random times and places. Eating at regular intervals slows us down, but on the upside, it helps us develop healthy habits about what and how much to eat. It is okay to snack from time to time, but eating at set times can boost both your mind and body’s health, not to mention greatly improve your mood and sleep. I recommend sitting down, eating off a plate, not right out of the container, and using utensils, not your hands. It also helps to eat with other people. Not only are you slowing down and enjoying the food more, you are also sharing a healthy connection. We take our cues from our tablemates, not emotion. Unless, of course, your tablemates are prone to overindulging, in which case it’s better to eat alone. When we don’t see the food, we are also more likely to eat healthy. Consider what’s around, where it is and whether it’s in sight. If the food is safely put away in the fridge, we are less likely to eat mindlessly, like while multitasking. This is a good tip to keep in mind in light of the upcoming holidays, when there’s going to be a lot of (unhealthy) food around. We’ve all heard the advice not to go food shopping when hungry, but there’s a little detail not as widely recognized – we feel it’s okay to overindulge as long as we eat something healthy as well. Studies have shown that people in supermarkets who buy lettuce are more likely to get junk food or liquor right after that than those who don’t. We’re also likely to eat more comfort food because we feel entitled to it after forcing ourselves to down that kale or broccoli. Many of us don’t even consider where the food we eat comes from beyond the supermarket packaging. Considering the food origin offers two advantages. First of all, stopping to think about all of the people involved in the food that is on your plate – from the people who prepared it to those who planted and harvested the raw ingredients, to those who stocked the shelves in the shop, it is hard to not feel grateful. Secondly, it always pays off to know where the food was produced. It certainly means something when you realise that it has actually come from somewhere that people have put effort into producting for you, and not just magically appeared. Multitasking and eating is a recipe for disaster. When we do this, we are not able to listen deeply to our body’s demands. We are also more likely to overeat. Do you remember when you went to the movies as a kid and you got so much popcorn that you couldn’t remember what the movie was about? Like within an hour of its being over? We’ve all had that experience. Or you got so much junk food, but it was gone even before the movie started and you wondered who ate it all? When we are distracted, it becomes more difficult to listen to our body’s signals about food. And not only food – this goes for all our needs. With your next meal, try focusing on the food, only on the food, nothing else. Turn off the TV and the laptop. Do away with all distractions. 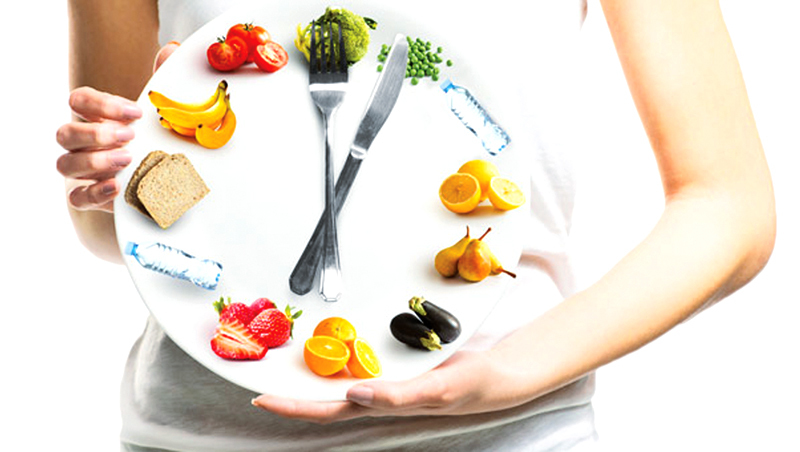 You will find yourself feeling full much quicker than normal, eating much less, and eating healthier foods. There’s no denying we live, and eat, in the real world, which can be quite a busy place. To recap – slow down, wait for your body’s signals, and don’t eat while you are working. Resist distraction – you’ll see it pays off, because you’ll reach your target weight, be happier and healthier in no time. This entry was posted in Blog Article, Mindfulness, Stress, weight and tagged depression, mindfulness, stress, weight.